NOTE: homeaway has made the decision to no longer allow same day bookings. We are more than happy to accept same day bookings subject to availability - please make an enquiry for another date and let us know that you wish to book tonight and we will let you know if the cottage is available. 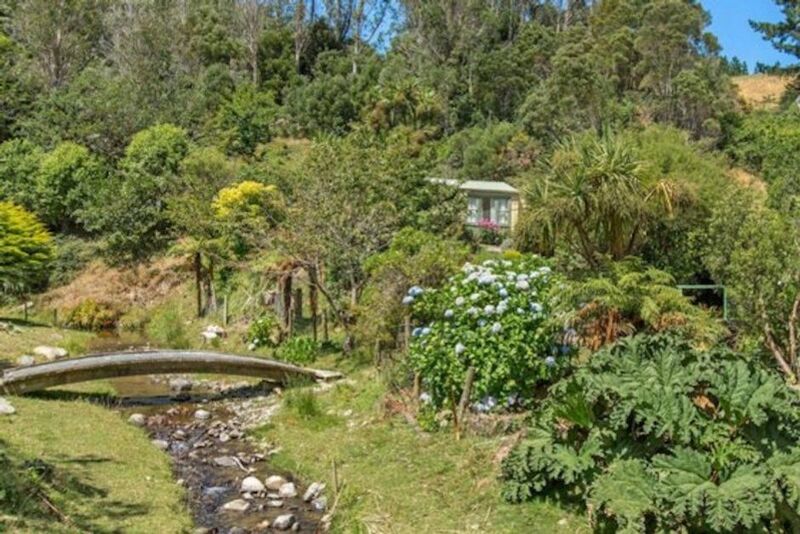 Just a short drive from Lower Hutt, Serenity Valley offers a peaceful escape from the bustle of the city. Nestled in our own valley within a valley, leave the world behind and enjoy the sounds of the country and the babbling of the stream. The cottage has its own parking and is fully self contained but the friendly owners are just down the drive and happy to help out with local information. You are welcome to wander the grounds as well as enjoy the Belmont Regional Park which is just a ten minute stroll away. The cottage has a heat pump to keep it cosy in winter but as we are an eco-minded property we ask that you use nature's air conditioner (open a window) to cool it during summer. If you really wish to use the cooling function of the heatpump this can be purchased as an optional extra. Kitchenette has cold water only but shower has a plentiful supply of hot water! Kitchenette has kettle/toaster/fridge/microwave/hob/sink. No cellphone coverage. TV has netflix only no freeview. Landline use for local calls available on request. Please note the cottage is in a rural setting. There are animals in nearby paddocks and free range chickens in the yard. Dogs allowed but must be able to interact with farm animals including free range chickens or be kept on a leash if not. Wonderful place in the country. Hard to believe that Lower Hutt is only 12 minutes away. Loved the environment and the character cottage. Delighted to be woken by roosters & to see rabbits. Surprisingly spacious and comfortable. Few challenging tricks to lights and hot water just added to the sense of being in a retreat away from everyday life. We are planning to return. Clean and tidy cottage in beautiful, peaceful and relaxing setting!